As you know, I’m a staff writer over at Kyotogram,a facebook page showcasing the best of Kyoto. I enjoy the job, mostly because I do learn a lot about doing business in Japan, but it seems that there’s something driving me nuts every six months or so. No, it’s not the main job this time, nor is it the people. Work runs smoothly and rather predictably, I am happy with the atmosphere and the money is good still. But then there is the kyozutsumi… In the following “we” mostly refers to the main Kyotogram staff, I’m not involved in all the decisions. It’s a new project that we’re trying to start, and the way it is run is just totally beyond me and drives me up the walls in the office (and at home too).Essentially it’s about selling things to the Kyotogram fans on facebook. So, we came up with the idea of the “kyozutsumi”, meaning a little package from Kyoto. It contains items that were made in or associated with Kyoto, and you buy the whole set that is only available (as this particular set) through us. So far the basic idea. We started looking for a partner back in January, when the goodies for the first kyozutsumi were chosen: A set of three items made with the old Yuzen dyeing method by a small company hand-crafting them in Kyoto. They even agreed to do all the packing and shipping for us, which makes things much easier on our side.That was the easy part, things went downhill from there. Fast forward to March, when we put out the first advertising on Facebook plus an article on the Kyotogram website (on a Friday). There was no easing into the idea: “That’s our kyozutsumi and here you can preorder”, that was all. If I see that on a site that has never done this before I go HUH? and move on. Of course, people were not eager to do anything, the post did not get much reach (meaning: views) either, and the preorders were in single digits. And then, I am also looking at this from a slightly detached position on the outside. There are so many things I don’t get: What’s with the preorder? Why not set up a shopping page immediately? 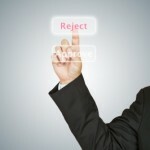 It’s the internet, I want to shop now, not whenever the seller gets their ducks in a row, that’s not my problem. And what’s with the 50? It seems that the craftsman has only 50 in stock before he needs to start making new ones or something, but again: not our problem. The worst part: It is very likely that, if this project is not taking off, this will be the end of Kyotogram, which means that I’ll need a new job. Which would be a pity, because I really enjoy what I’m doing. I’m tired today, but even so I have the impression, I didn’t accomplish much. 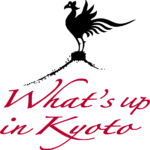 That’s because I spent most of my day entering events into the What’s Up In Kyoto calendar. It’s a very boring and repetitive task, and still not quite as easy as it sounds. Many of the events I enter have descriptions only in Japanese, and no homepage to go to for a quick copy/paste into google. That means that I have to literally paint the kanji into google translate, which is time-consuming, and sometimes, the translations are … let’s say: interesting. Often, I also need to scan the flyers and postcards, but that’s a minor issue. My “favourite” ones are those where it is not clear where the event is taking place. Just today I threw out three or so where I only found out after googling that the event was somewhere in Tokyo. At least the calendar program keeps improving. Tockify continuously adds little features that make my life easier. Now I can save addresses that I often use which is a big time saver. So, in the best case I can add an exhibition, in, say a gallery I already have in the database, within 5 minutes (including the scanning of the postcards, which I do in bulk when I get them.) In the worst case, it can take up to 15 minutes when I need to find out what exactly that Kanji mean, which kind of Buddhist ceremony it is and where I have to go for it… No wonder I only managed some 25 events today. It’s getting much better though. And I have very nice and relaxing plans for the upcoming weekend! In order to avoid a rush job like last month, this time I have started way ahead of the game for the March highlight. I got a first draft of the text ready last week already, my friend translated it, and yesterday we had an appointment with the PR representative of the shrine, so we went there early in the morning. I’ll just share one thing that the priest told us: He said that shinto wasn’t really hierarchical. Although Amaterasu, the sun goddess, is often seen at the top of all the other gods, she is more at the center of them all. And if you think about it, that makes sense: Nothing on earth would work without the sun… That means, that there is not really rivalry between the gods – which is why in many shinto shrines there is a main kami, but many lesser shrines as well, where you can pray to other gods. He also said that many people believed that you shouldn’t have too many omamori charms from different shrines, because the gods would fight with each other. He said that was not true – you can buy as many omamori as you like, he is obviously a great salesman too. I could have spent all day there having my questions answered, but after some 90 minutes, my friend looked drained, so we left, not without leaving another pack of our Mannerschnitten, of course. This morning already we have received a thorough correction of our draft (in red, like in school. Very much red, actually…), and our request for photos was also granted: We got 18 lovely photos, taken by a professional photographer. One of them especially encapsulates the spirit of shinto, and I would love to post it here, were it not a bit unethical to assume permission when I don’t have any to do this. You’ll have to wait until March I’m afraid. It seems to me that in Japan, giving gifts is extremely important and thus more common than in Europe. The gifts are never very expensive and most often are just some local food speciality or sweets, but people do make a point of giving you something, even if they just went on a quick business trip to Tokyo. I did not grow up like this, so I never have anything for anyone (to be fair, I don’t go on business trips or vacation either), and I’m greatly embarrassed when people give me something out of the blue. As I said, those gifts don’t have to be expensive at all, and it’s not a problem either to buy a large box of Tokyo Bananas for example, and then hand them out piecemeal. Probably for this reason, most of the sweets you can buy as souvenirs are individually packed, even if you get a supersized box. Giving gifts in business is similar. Of course, there are the oseibo year-end presents that can cost ten thousands of yen if it is a long-standing, well established, and for both sides prosperous, relationship. 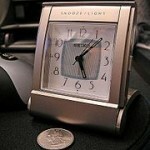 But then there are other gifts given merely as a token of appreciation, at the first meeting for example. Not every meeting needs such gifts, but if you are trying to get off on the right foot and start a long-term relationship, it’s not a bad idea to do that. As you know, I am now actively approaching shrines in Kyoto for the What’s Up In Kyoto monthly highlights for information and photos. A Japanese friend of mine helps me doing that and she suggested to bring a little something to the PR person of the shrine when we meet. She insisted that it would be best if I could bring something from Austria, something very typical; and because I received a few of them as a Christmas present, we’ve settled upon: Mannerschnitten. For you foreigners: You really don’t have to understand that. Let’s just say they are very famous in Austria, we all grow up with them, and many of us crave them desperately. For you fellow Austrians: Yes. I know. But: We’ve already given one pack away at Yoshida Shrine last month, and the PR person was very surprised to receive a gift from us and appeared very pleased with the fact that it was a foreign gift to boot. 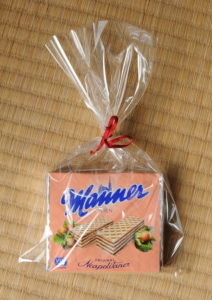 Of course, that leads to another set of problems: Where in Japan can I buy Mannerschnitten? I have tried the usual shops in Kyoto that are selling imported goods, but nothing. And shipping from Austria is expensive, and even if it were not, I cannot rely on my friends to keep me stocked. However, we have found a solution, and it’s called: Rakuten This is a Japanese online store that sells, apparently, everything. Just go to the bottom of the page I linked to, hover over the links and you will find: cars, fashion goods, liquor, sports, flowers, garden… and Mannerschnitten. I’m so pleased – let’s hope the other PR people I’ll meet will like them as much as the one from Yoshida shrine. Time for another business update! 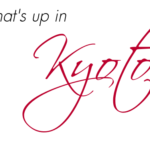 As you now know, this year the What’s up in Kyoto monthly highlights will be in-depth articles about shrines in Kyoto. One reason for this choice was that I thoughts shrines would be more friendly to requests than temples, essentially because they have less money. And when I got the quick and friendly answer from Yasaka shrine for January, I was very happy and felt on a good track. But now… I had planned another one of the bigger shrines in Kyoto for the February highlight, because they have a very interesting Kigen-sai ceremony celebrating the founding of Japan as a nation. We have actually approached them back in December already, at about the same time as Yasaka Jinja, but we received only an evasive reply. So we tried again this month, now with a link to the new highlight so they have a better picture what I’m up to. Again: no reply other than “our PR representative is not here at the moment, but he’ll call you back.” Which of course, didn’t happen at all. So, at this point I have decided to try another shrine for the February highlight, which means we’ll have to start all over again, researching and writing the article, scoring pictures, making phone calls and sending faxes… This time we spoke to the PR representative in person on the phone, but no reaction to the fax we sent yesterday. I hope the nice reaction of Yasaka shrine is not an exception. If yes, then… what the hell did I get myself into?